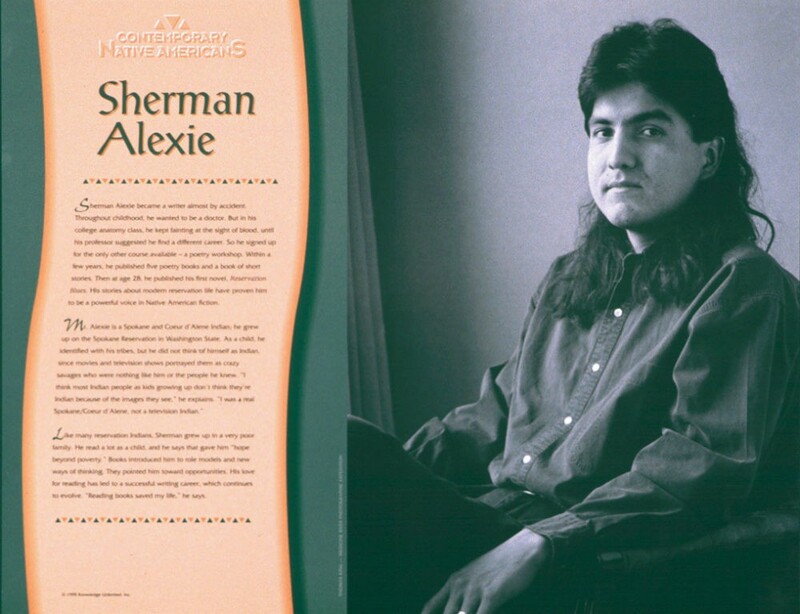 This educational poster of Native American writer Sherman Alexie features a striking photo of the author, as well as biographical text describing his life and career. 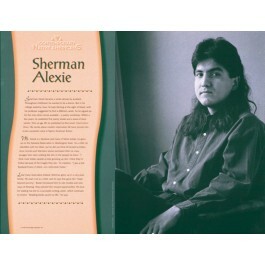 Sherman Alexie grew up poor on the Spokane Reservation in Washington State. But he read a lot as a child, which he said saved his life. At age 28, he published his first novel, "Reservation Blues," marking the debut of one of America's most powerful young voices.